A lifetime of memories from CBU's First Building. The Kenrick Memory Project is a collection of experiences, moments, and recollections of Kenrick Hall from members of the CBHS, CBC, and CBU community intended to commemorate the legacy of a great building. "Rehearsing in the basement of Kenrick Hall as part of the short-lived jazz band in the mid-80's. I played trombone and electric bass, depending on the song." 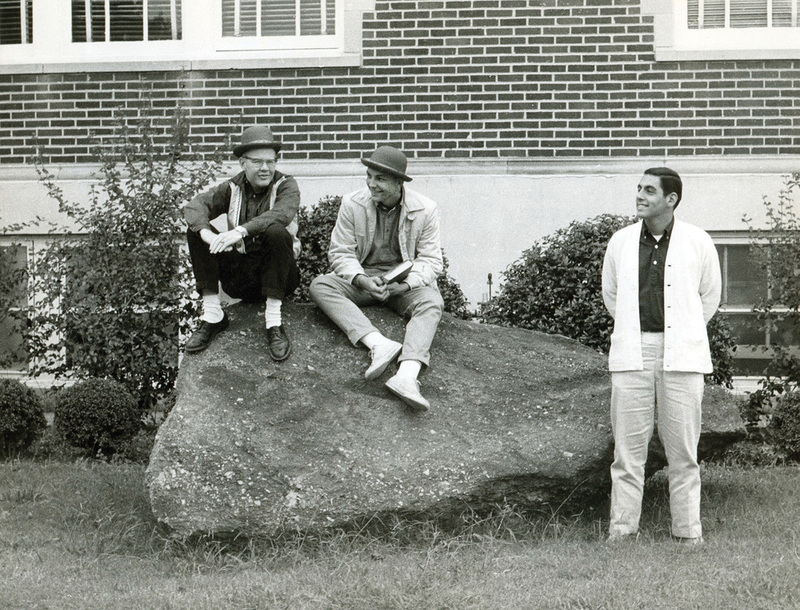 "In about 1968 the “Rock” used to be on the lawn area outside Kenrick facing Maurellian. Kenrick was not air conditioned and I took a Business Law class w/a fellow I don’t remember (he was an adjunct I believe) who was a stickler for attendance…but that was all. He would take roll, turn and face the blackboard, writing and talking on the material. When he did that…guys would be jumping out the window (using the Rock as a stepping stone) and skipping his class. The instructor really never turned around but once/twice for the rest of the class and it would be virtually empty." "For 26 years (1987-2012), I carefully reserved and scheduled every available room in Kenrick Hall for the required Freshman Orientation classes, held each Tuesday until fall break from 1:00-1:50 p.m. The classes were conducted by a specially selected and exceptional group of upperclassmen, the Peer Counselors (PCs). The PCs took great pride in having their own classroom and in being the teacher/leader of their small group of freshmen. It was always exciting for me to walk down the halls during the classes each Tuesday and see “Students Helping Students” in such a caring, competent, helpful, and professional manner. As their director and “cheer-leader,” I could not have been prouder of them!!!!" "I had my first class as a Freshman at CBU in Kenrick Hall. It was one minute long at 8 o'clock in the morning. I woke up, got ready, walked from Rozier to Kenrick, walked in and was handed a syllabus by an adjunct faculty English teacher, who told us, "There's the syllabus; see you Wednesday." It was an interesting first day of college. I thought: this is going to be AWESOME!" "When I first came to CBU as faculty in 1973, my classroom was the end room on the east side of the third floor, very close to the railroad track. The building was not air conditioned, so the big tall windows had to be raised often in September, October, April and May. I loved the fresh air and the sunshine, but when a train came by we just had to take a little break from lectures and class presentations. Another distraction was the riding lawn mower just below the windows, but that was more easily remedied. I would just lean out the window, wave and holler, "Class in session." The offender on the mower would wave back and smile and move on to another area. That big old room was often filled with about twenty three young men, at least twenty of whom were "baby Brothers," as the young novices were called then. We always began our classes with prayer and "St.John Baptist DeLasalle, pray for us. Live Jesus in our hearts...forever.'" "My fondest memory of Kenrick Hall was learning from the cool upperclassmen that you could steal a butter knife from the cafeteria and use it to break into a classroom in Kenrick so you could study late at night after the library had closed. It was better than studying in the library because you could have conversations with your friends about WHATEVER you were studying. You could write on the board and work problems together, but mostly just being together instead of being stressed out alone preparing for a big test was nice. 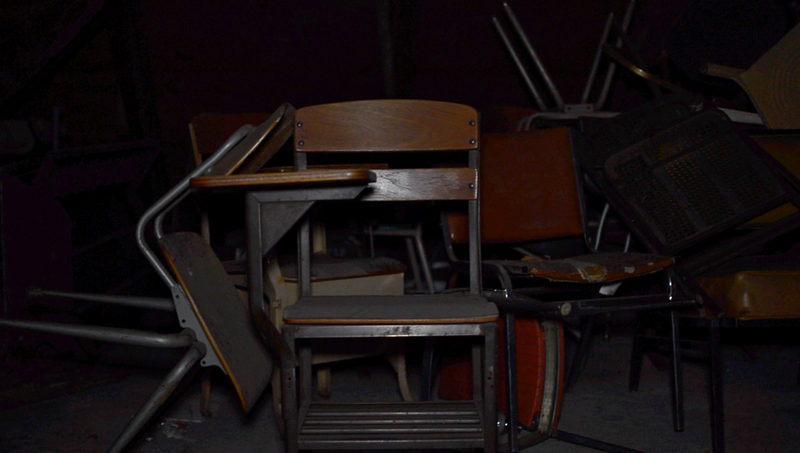 We spent many hours after hours in those classrooms. I loved how the floors creaked when you were leaving after taking a test though you were trying to be quiet. I loved how the classrooms felt old and warm. I loved how the rooms made me feel like 'this is what college should feel like.' I loved how the Brothers seemed like they belonged in those rooms." "I had my final Kenrick class in this room, Room 110 (at the far end of the hallway on the left side). That class was PSYC219, Personality, with Dr. Tracie Burke. At the beginning of the semester, Dr. Burke had us introduce ourselves to the class, and we had to mention something special about ourselves. I mentioned that I had won 4 bowling trophies in the youth city tournament when I was 6 years old. She asked me to bring one of the trophies in as proof. The next day, I did, and she held the trophy "hostage" for the rest of the class and faked like she was going to keep it! She gave it back at the end of class, though. We all had a good laugh over that!" "Having taught at CBU since 1997 and directed the CBU Honors Program since 2000, I have countless memories of Kenrick Hall. Some of my favorite teaching memories include students' classical conditioning demonstrations, during which I stood in for Pavlov's dog. Of course the students used these opportunities to subject me to all sorts of horrors. One particularly memorable demonstration saw them pelt me with paper wads and marshmallows after playing a snippet of Pat Benatar's "Hit Me With Your Best Shot." Being a pretty smart dog, after about three rounds, I flung myself to the ground to avoid being hit. My conditioning had been successful." "It was always so embarrassing while standing at the front of the room in Kenrick giving a presentation or speech and the creaks in the floor were competing to see who could be louder! I missed entire sentences sometimes because of their racket." "I was in front of the chalkboard in Kenrick when one side of a projector screen came loose and swung down, knocking me sideways. I might have seen it coming, but all the students gasped at once, so I turned in their direction and didn’t see it. Turns out the screens are fairly heavy when rolled up, and it hurt enough that my entire arm went numb, and I taught the rest of the class hoping that they wouldn’t notice that I was unable to use one arm, which was hanging limp by my side. This was tricky because I realized just how much I talk with my hands while teaching, and all my left arm would do was just twitch each time. Apparently this wasn’t a very good plan, because they kept asking me if I was all right." 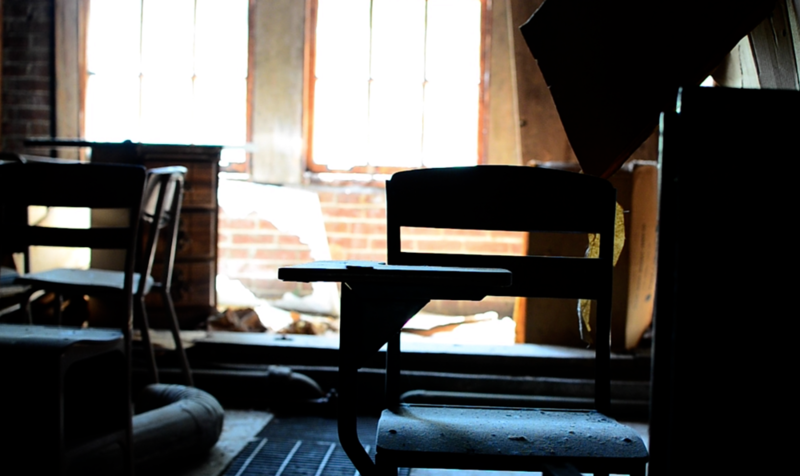 "We were told to go exploring in the attic, by some of the older classmates. There were shelves of old electronic components. No one could explain how they got there. It looked like an Army Surplus store. Before the World Trade Center was built in lower Manhattan, that area was called Radio Row. 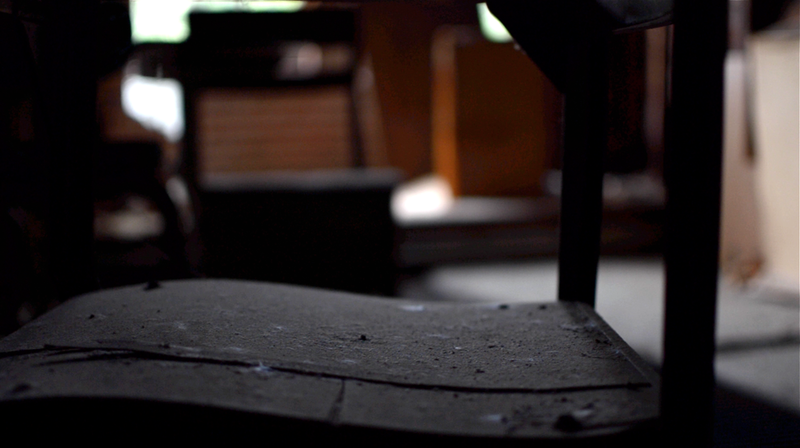 This attic reminded me of it." “Once I observed the legendary CBU albino raccoon walking along the peak of the roof of Kenrick one night. Some of my other friends finally saw it as well. Also, I had a key to get to the music practice rooms in Kenrick... during wintertime fire alarms in Rozier, I conveniently let displaced residents inside to escape the cold while we waited for the fire department to give the 'all-clear.'" "One of the best things about it was its prime location overlooking Rozier and the Thomas Center. It was so easy during class and work study at the Ghandi Institute to just stare out the window and watch everyone walk by. In fact, Dr. Margie Miller threatened on more than one occasion to close the blinds so that I would stop watching the comings and goings of Rozier." "So one day, around Valentine's Day, I was told to go pick up two candy boxes from my secret, not-so-secret, Valentines (Payton Powers and Lauren Harrett). The email didn't mention which room in Kenrick to go to to get my chocolate. So I went to someone I knew had something to do with the CandyGrams, Dr. Prawdzik. I got to his office in Barry and he tells me to find the room Kenrick 214, inspired by the date of Valentine's Day. So I walk back to Kenrick, all the way past the Honors Lounge, and I can't find this room. So I see Dr. Vogl and ask him if K214 exists or if it's a secret room that you have to push a button or something to find. After about half an hour of searching, we go back to Prawdzik and learn that K214 was never built and that he booked a room that didn't exist." "My favorite memory is definitely the Kenrick attic. We had tried to get up there before, but the door had always been locked. However, Halloween night 2000, I happened to look up and noticed that there was a light on in the attic. I quickly grabbed my friend Alexis and we headed up. The door were unlocked. We ventured in and were completely overwhelmed. Not only was there just a ton of stuff up there, but chairs positioned like someone spent time up there looking over the campus (and the girls dorms). There was definitely a creepy feeling. We left to get some more people to go with us, mainly because we were scared to be up there alone. We all signed our names to the wall, as other people had, but after awhile, the creepy feeling returned and we just felt like we had to get out of there. I have returned a couple of times, always during daylight, and while it still feels eerie, it will never be as scary as it was on a Halloween night. But it was so much fun!" "The first thing that popped into my head... was all of the late night All Sing practices with my sorority(Alpha Xi Delta) and Sunday night sorority committee meetings." "Well, there were some great memories over the years, and they go back to 3-years of high school at Kenrick Hall. · Who can forget Joe’s chili? · Getting my backside blistered…..and on more than one occasion. · Freezing in the winter time and sweating up a storm the rest of the time. 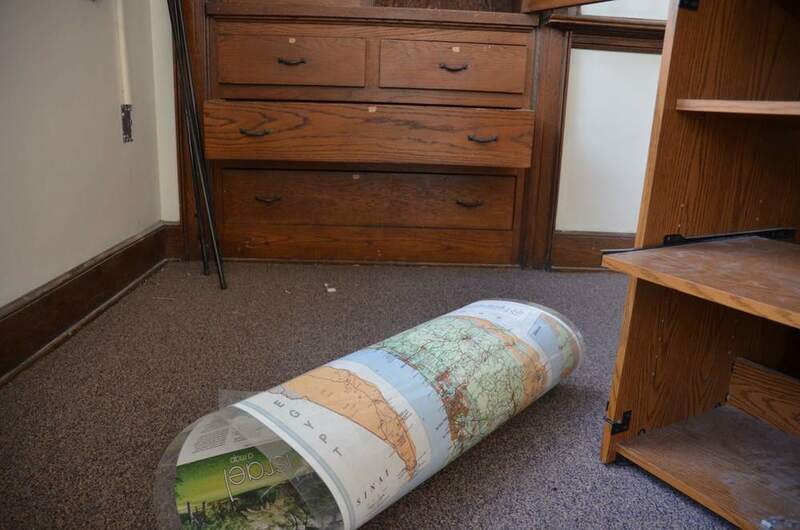 · I can tell you where I was sitting when the news broke that JFK had been shot. · Making new friends from both high school and college. "I was actually a freshman in 75-76. I found out very quickly that Calculus could be a killer in Kenrick Hall. I still have fond memories of the many people I met, some of the crazy activities I participated in and the feeling of belonging that I always had. I never made it out with the Class of 79 like I should have, but something always drew me back to what was CBC back then. With a few years of the real world behind me and a company with a lot of faith in me, I was able to step back into Kenrick Hall and into the Night Program. With the encouragement of people like Mark Smith, the VP of Academic Affairs at the time, I finally made it through and graduated in 1988. I enjoyed that moment so much that I came back for my MBA and graduated in '94 from CBU. Even though I spent most of that time in Buckman Hall, I would still glance over to Kenrick Hall as I made my way home and think of all those memories." "I hardly have a memory at CBU where Kenrick isn't in the background. As a freshman and sophomore girl, I lived in Maurelian Hall at night and as a History major, lived in Kenrick Hall during the day. Our sorority (AXD) stored our supplies in the basement. I took my first oil painting class down there; my final project is still hanging up at my parents' house! 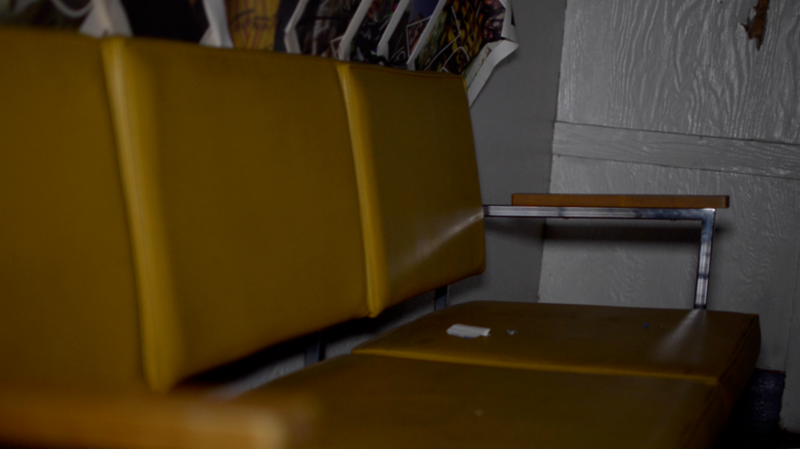 I loved walking through those old hallways and seeing those brown lockers. The marble floors told of a time when architects and builders actually cared about materials. I also loved the black chalkboards and how they took up most of the wall space and those gorgeous (almost) floor to ceiling windows! I was hoping my children would experience those same hallways and classrooms." The attached photo is Dr. Andrew Assadollahi when he was a freshman at CBU in Spring 2005. He was taking his English Composition II class in Kenrick. "I don’t know what part of my adult life Kenrick didn’t touch. In Kenrick, I took humanities classes in which I made lifelong friendships with both my classmates and professors. My chemistry professor could still find his locker there, and he still remembered the combination to open it. It was there that my new member education classes and meetings were held for my sorority. During Alumni Weekends, I always show my husband the building that is a part of my character. I’ll miss being able to roam its halls." "Stephen Hill ('09) sleep-walking into Kenrick in the middle of the night and waking up as 8am classes are starting." 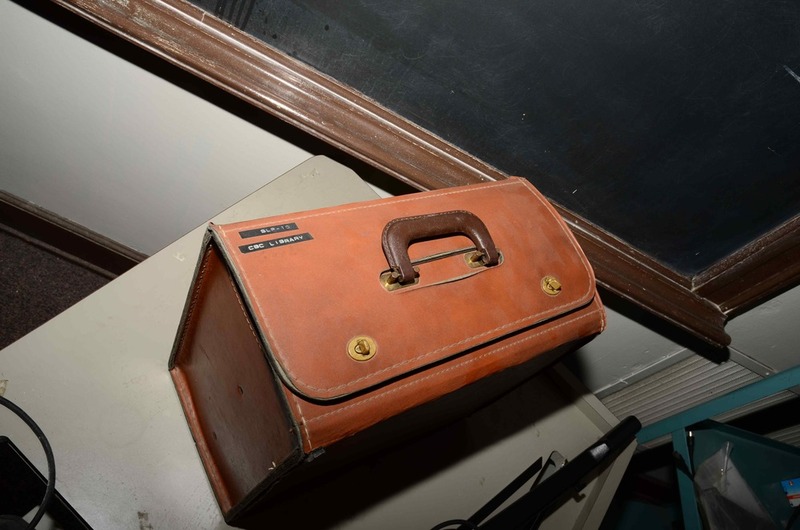 “The gathering of people before classes, the Fraternity Rush weeks, running through "The Tunnels" late at night, even though you knew you were "absolutely prohibited from doing so," the smell of the wood, the creak of the floors, the sound of chalk on the chalkboards as a teacher teaches. Running through the building at night, afraid some forlorn spirit will rise up to pull you into the past. Visiting the attic, which I never knew what to think of until I saw a Harry Potter film and became familiar with the "Room of Requisition". The building has some kind of magic to it that will expire when the building is razed. It's something that can't be duplicated, can't be bought or bartered for. It is the personification that the building is somewhat human, has become human over the years. It has, at the same time, a happy smile as it sits on the hill on Parkway looking out, knowing that it has seen so many young people pass through its doors, much like a warm hug, knowing that is has helped mold and foster those young minds' futures. But there is also a sad, desolate frown that, in all likelihood, it will never see these same young minds again, as we hurry, off to open the doors of opportunity, that this building helped open. We have become too busy to stop by and say hello, or in this case, goodbye to an old friend." "Most of my classes were in Kenrick and I have memories of walking the hall with so many friends :-("
"Kenrick was always my favorite place on campus. It's where I met many of my lifelong friends and figured out what I wanted to do with my life. I have so many memories, both as a student and now as a faculty member. As a student, I remember seeing Dr. Rena Durr demonstrate walking like a model, hoisting and balancing our instructor across the back of two chairs at her neck and ankles (not really sure what she was demonstrating, actually), listening to Gregorian chant in the basement music room, and training our rat in the psychology lab for Rat Olympics—she came in third! After learning about cue-dependent forgetting in my psychology of learning class, I began studying in my Kenrick classrooms late into the night. Whether it actually helped me or not may be up for debate. As an alum, I visited regularly and loved walking the halls. They contained a distinct smell—wood, chalk, maybe a little must—that my friend Joel Bello and I referred to as the smell of academia. I loved that smell! After returning as faculty and teaching in Kenrick, that smell was something I looked forward to every day (weird, I know). I was so bummed when I acclimated to it within my first year. Nonetheless, after being a student in Kenrick, I loved being a teacher in the same classrooms. It was so surreal. Wow, my students were forming memories in my classes just as I had done. Well, I hope so. My office was also in Kenrick for several years. Upon arriving as faculty, I was somehow given the largest office there was in Kenrick, the size of half a classroom. My friends and family wondered what I had done to deserve it. I later moved to the smallest office there was in Kenrick, the size of a closet. Facing East Parkway, it would turn into an Easy-Bake Oven in the late afternoon. Then, it was I who wondered what I had done to deserve it. I will definitely miss Kenrick. It’s a big part of what made CBU feel like home to me. I look forward to making new memories in our new building. I hope the builders can recreate that smell." "The first is concerning Mr. Burk, my German language teacher. He spent extra time after class with me to help me to at least get a "C" on many days and thankfully I finished with a low "B" through two years of German. He kept encouraging me when I wanted to give up and told me he was not giving up on me! I appreciated him so much! The second concerns Dr./ Brother Tony Pisano as my history teacher for several classes. I especially enjoyed his class on the emperors of Rome and the history of Rome. He made every lecture interesting and exciting. He made us feel like we lived in Rome as his descriptions were outstanding!" Thank you for contributing to the Kenrick Memory Project. Your words help Kenrick Hall live on in the CBU community.